The Discovery Passage is a body of sea located between Vancouver Island and Quadra Island in the Discovery Islands of British Columbia. The channel links Johnstone Strait to the north with the Strait of Georgia to the south. Discovery Passage meets Johnstone Strait near Rock Bay Marine Park on Vancouver Island and the west coast of Sonora Island. The eastern shore of Discovery Passage is formed by Quadra Island all the way down to the southern end of the passage at Campbell River, where it connects with Georgia Strait. Discovery Passage was named in 1847 by Captain Henry Kellett of the British Royal Navy after Captain George Vancouver’s ship, the HMS Discovery, which sailed through this passage during Capt Vancouver’s circumnavigation of Vancouver Island in 1792. HMS Discovery was also the consort ship of James Cook’s third expedition to the Pacific Ocean (1776 to 1780). The passage, which is 14 miles (25 km) long and approximately 1.2 miles (2 km) wide on average, is an important shipping route that forms part of the Inside Passage between Alaska in the north and Washington state and British Columbia in the south. Mariners should be cognisant and cautious of the strong currents in the passage, and kayaking and scuba diving in Discovery Passage can only be attempted during slack tide. The current flows at speeds of up to 16 knots through the Seymour Narrows, the narrowest section of Discovery Passage. The currents are phenomenally rich in nutrients and oxygen, and sustain an awesome array of marine life. Many different species of fish, colourful invertebrates, and the elusive giant pacific octopus reside in these nutrient-rich waters. 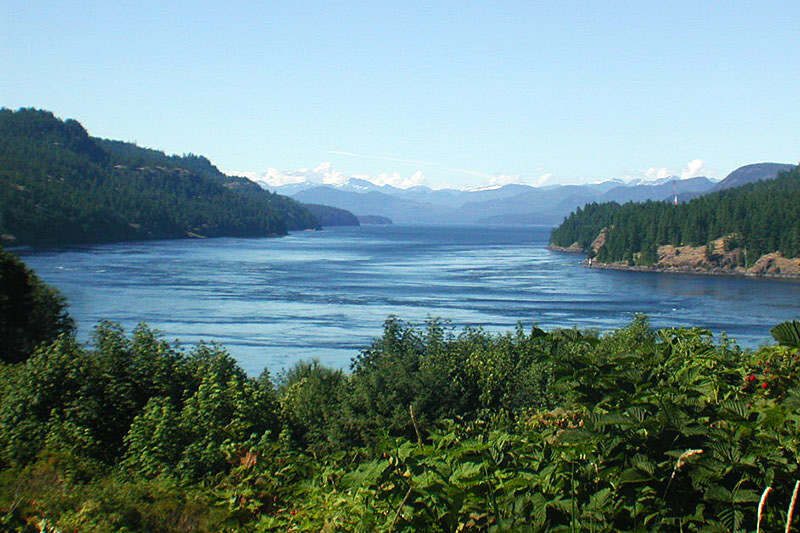 Ripple Rock rest area just north of Campbell River on Highway 19 offers a fine view of Seymour Narrows. An interpretive marker here describes the maritime history of the region since it was first charted by Captain George Vancouver in 1792. Despite the blasting away in 1958 of the twin peaks of Ripple Rock, which lies underwater directly east of the viewpoint, large boats are still harassed by the rip tides, swirling currents, and whirlpools that constantly agitate the surface of the Seymour Narrows. The tidal rip offshore is so vicious that when viewed through binoculars it has the appearance of a writhing mass of snakes. The wealth of the salmon fishery in Discovery Passage between Campbell River and Quadra Island is so legendary that a special ritual has grown up around it over the past century. 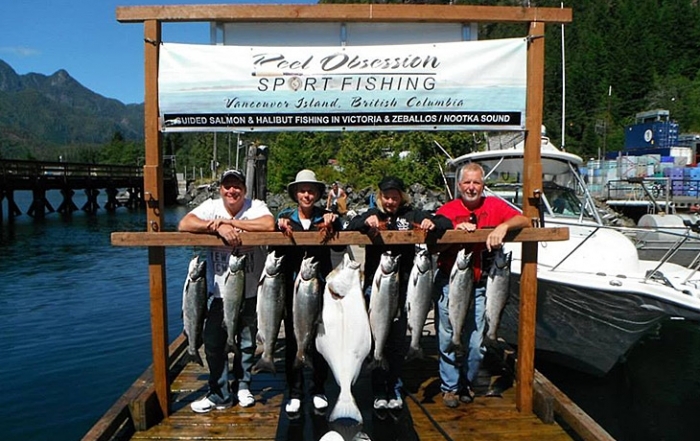 Called tyee fishing, this method has stringent requirements, but success buys instant membership in the exclusive Tyee Club of BC. Tyee is the appellation given a chinook (king) salmon when its weight exceeds 30 pounds (13.5 kg). Anglers must abide by regulations that stipulate a minimum catch weight of 30 pounds, hooked with an artificial single-hook lure fastened to a maximum 20-pound (9-kg) test line. Oh, and you have to be in a rowboat. (Considering the size of an average tyee, make sure it’s a big rowboat.) The official weigh-in station is at the Tyee Club House beside the boat launch on Tyee Spit, east of Highway 19 on Spit Road in Campbell River. 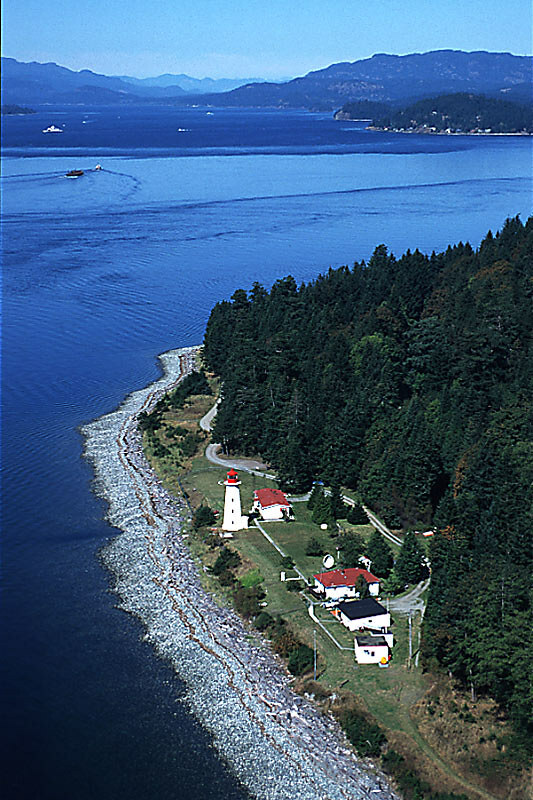 Cape Mudge Lighthouse on Quadra Island guards the southern end of Discovery Passage and celebrated its 100th birthday in 1998. 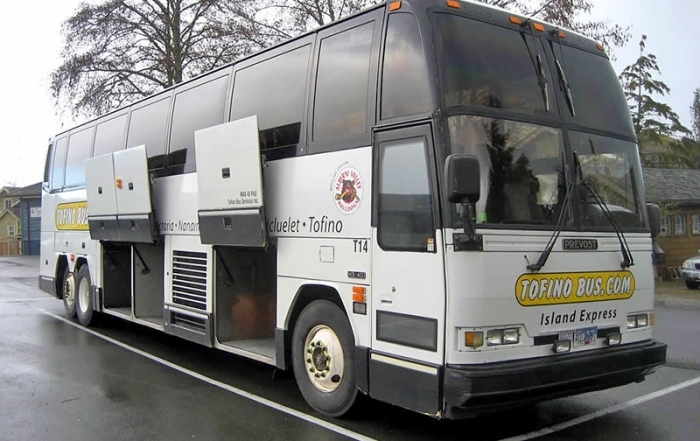 It is the only one in BC that is accessible by road and is still staffed and fully operational. 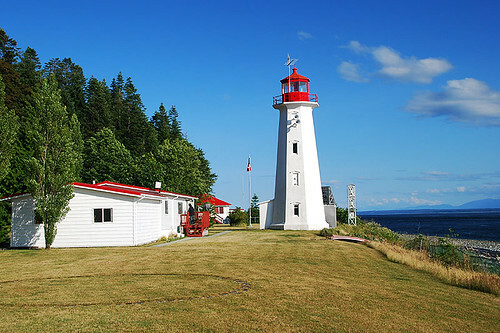 Linked by a trail to Cape Mudge Village, the lighthouse is located below the bluffs visited by Captain Vancouver in 1792. First Nations petroglyphs from centuries ago can be found at extremely low tide just south of the lighthouse. Location: The Discovery Passage is located between Vancouver Island and Sonora and Quadra Islands in the Discovery Islands of British Columbia. 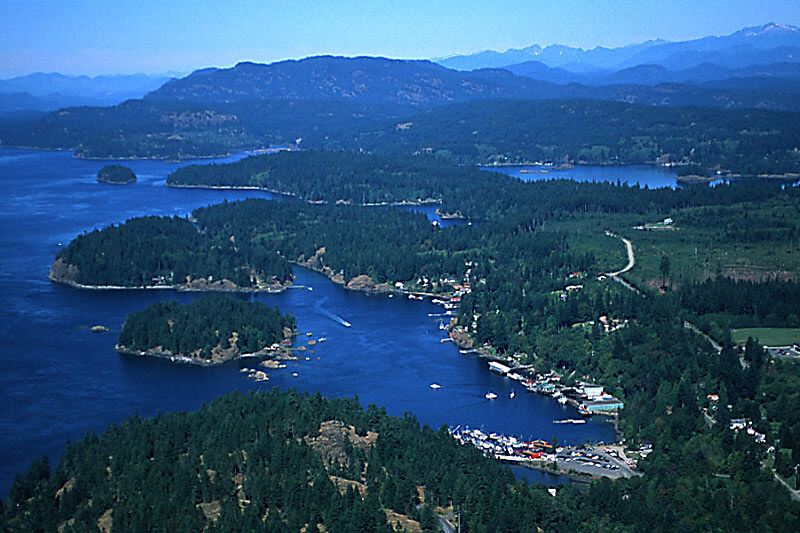 Access to Discovery Passage is easiest from Campbell River and Quathiaski Cove on Quadra Island in the south of the channel. 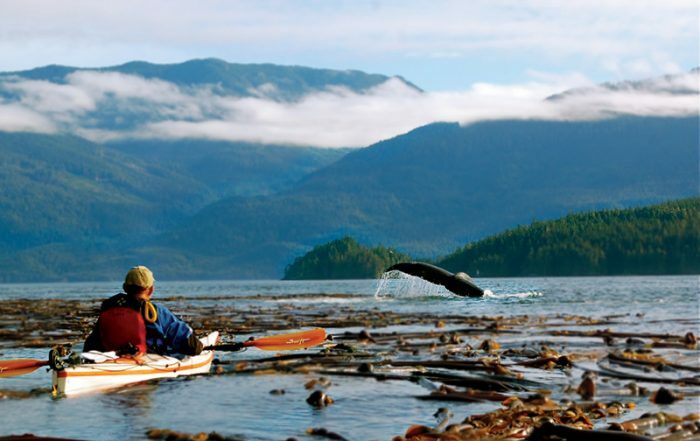 North of Campbell River, boat launches are located at Rock Bay, Elk Bay and Brown Bay on Vancouver island, and at Granite Bay in Kanish Bay on Quadra Island. Campbell River is big as Vancouver Island cities go, located in a region rich in natural resources, with towering West Coast forests that have fostered a growing forestry industry and provide great scope for outdoor adventure. 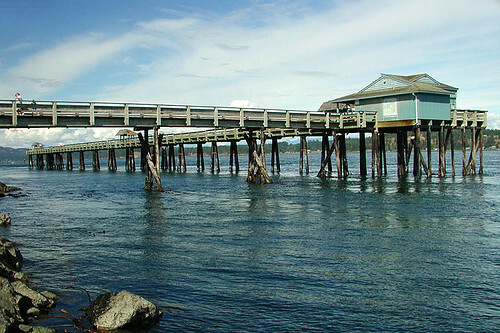 Campbell River is the port of departure for the scenic 10-minute ferry ride to Quadra Island, with a connecting ferry to Cortes Island. Quadra Island is the largest and most populated of the Discovery Islands. 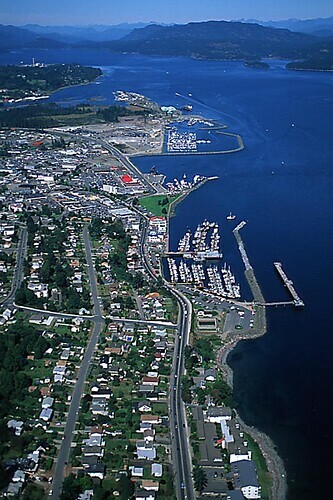 Quadra is a popular destination for visitors from around the world, and is best known for its natural and beautiful wilderness scenery, mild temperate climate, rural lifestyle, and friendly people. 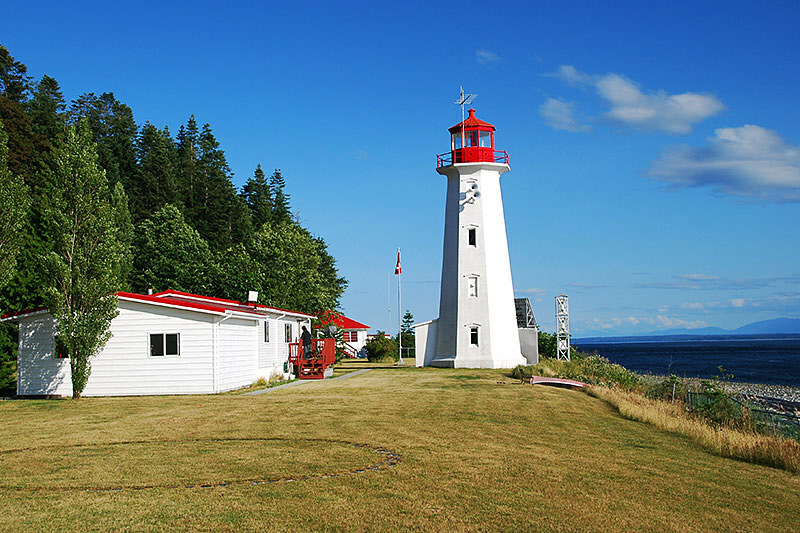 A ten-minute ferry ride from Campbell River takes you to charming Quadra Island. The Discovery Islands are part of the chain of 6,000 islands that shelter the British Columbia coastline between Washington and Alaska. 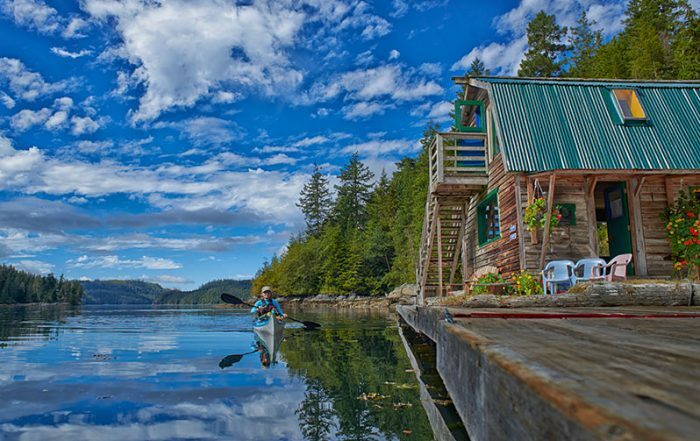 Located between Campbell River and the mainland of British Columbia, the Discovery Islands dot the intricate waterways in some of the most spectacular scenery in the world. Johnstone Strait is a deep and narrow glacier-carved passage extending roughly from Telegraph Cove to Rock Bay, connecting Queen Charlotte Strait in the north to Discovery Passage in the south. Johnstone Strait serves as an important thoroughfare for marine vessels that include cargo freighters and cruise ships bound for Alaska in the summer months. Small Inlet Marine Provincial Park is located in Discovery Passage at the northern tip of Quadra Island, accessed by boat from Granite Bay. The remote park protects second-growth forest and two small lakes, with Small Inlet providing a protected anchorage in all weather conditions. Boaters also utilize the anchorage to wait for slack tide, allowing safe passage through the tidal rapids of Discovery Passage, Okisollo Channel and the Hole in the Wall. Rock Bay Marine Provincial Park is a marine park incorporating a rocky headland and two adjacent bays on either side of Chatham Point. Consisting of foreshore only, Rock Bay juts out into the ocean at the junction of Discovery Passage and Johnstone Strait. Otter Cove on the southeastern end of the park provides a sheltered anchorage for small vessels waiting to navigate the nearby tidal passes in Discovery Passage.